Yes. That is the title and this is a blog telling you about some of them. 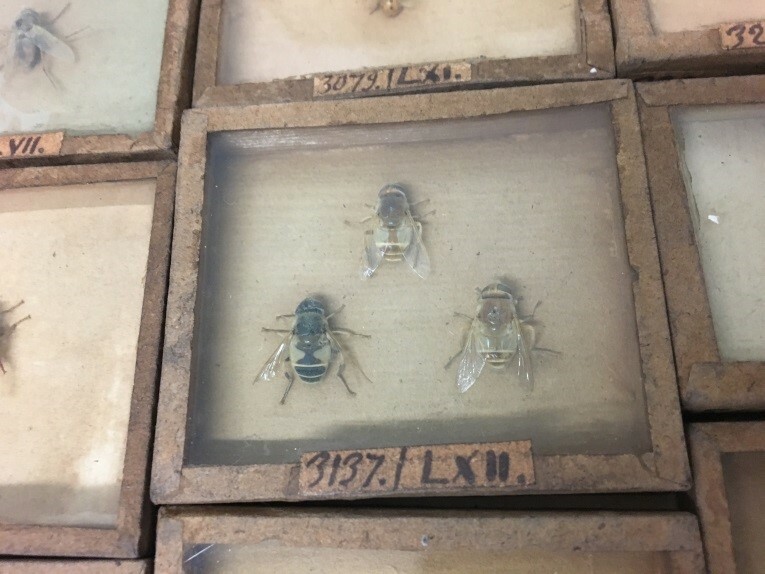 I was tasked with the job of hunting through the thousands of drawers, the hundreds of jars and the millions of slides to find the most famous or most infamous of specimens within the Collection at the Natural History Museum London. I have worked on the fly collection at the museum for over ten years now but still regularly come across hidden gems in the collection. 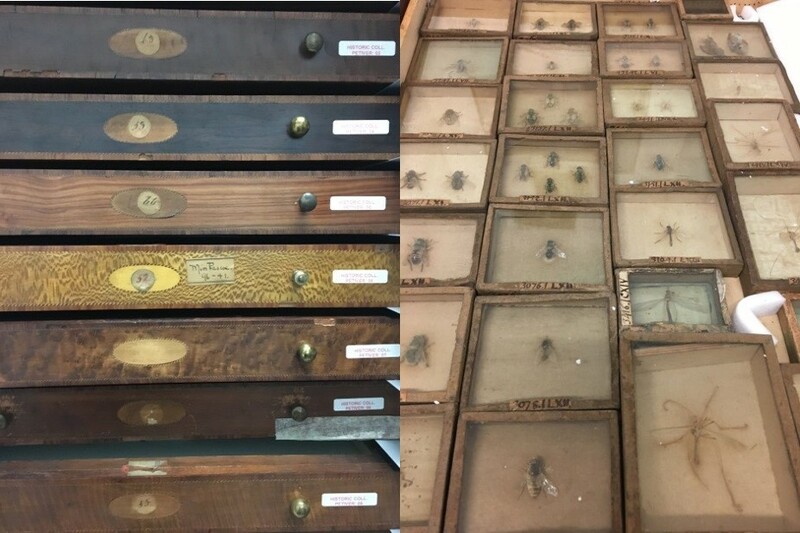 Just in the fly collection, we have approximately 3-4 million specimens (when you see jars swimming with flies you will understand why this estimate has such a large degree of error), that have been collected since the early 17th Century from every geographical region around the world. Some of the collectors are recognisable whilst others are less so but have come to mean so much to us who deal with the collection. So, let me welcome you to the collection. It is arguably the best fly collection in the world – I admit I may be a little biased but please be patient with me. I get very excited about the flies and forget most of my impartiality. 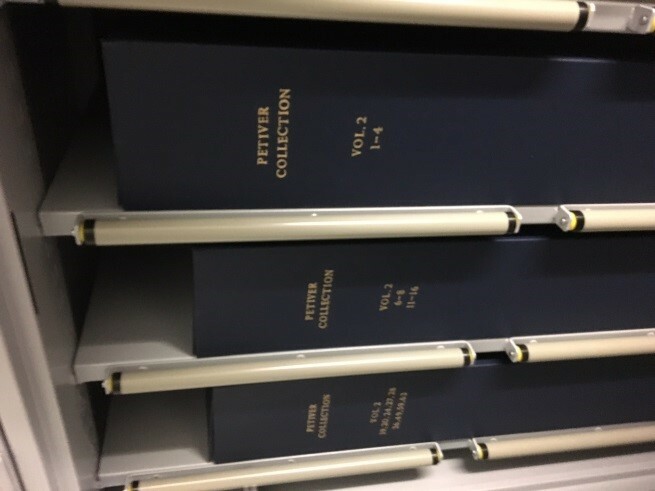 The collection comprises 9000 drawers of pinned specimens, 2,500,000 specimens (or so) in jars, approximately 200,000 slides, and a further molecular collection (both DNA and tissues), frozen in liquid nitrogen tanks at -80oC. 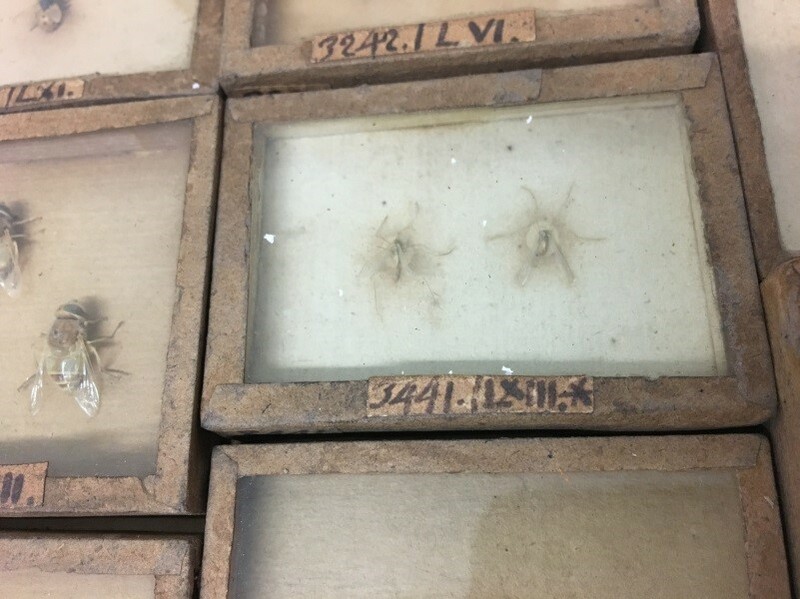 Some are housed in the most up to date cases that are appropriate for insect collections whilst others have been kept, preserved in time, exactly as they were when presented to the Museum. This is the case for some of the earliest preserved insect collections at the Museum. The Natural History Museum was born thanks to the generosity and far sightedness of Sir Hans Sloane. He was an old-school collector and back in the 1800’s he amassed a collection of such importance that folks came from far and wide to visit and study it, including none other than Carl Linnaeus – the father of Binomial nomenclature. Sloane was not a collector of insects or other objects himself but rather a purchaser and receptor of other people’s collections. One of those acquired was from James Petiver, a shop keeper who owned an Apothecary store in London. As well as having herbs and spices necessary for his work, he also collected plants, shells and insects and had a vast network of friends and connections who passed them onto him too. The boxes of books and the instructions of care. © Trustees of the Natural History Museum. Not only does the age of this collection merit attention, the majority were collected in the late 1700s, but also the method of storage. For these insects, butterflies, beetles, flies etc, were presented as flattened specimens in books. After ‘drowning’ the insects in ‘spirits’ he would press them between the leaves and here they remained for over 300 years. Unsurprisingly not many survived to the present day due to poor preservation but some did. Unsurprisingly not many survived to the present day due to poor preservation but some did. © Trustees of the Natural History Museum. Not only do we have the books but we also have little boxes, and within these there are many insects and arachnids. More importantly for me there are many flies. We also have little boxes. Lots of little boxes. © Trustees of the Natural History Museum. This collection has many questions associated with it, including where are the actual specimens from? A common problem and one that has obviously been there from the beginning of collecting. It is interesting to think though that even material that we have held in the NHM for hundreds of years still needs to be investigated. 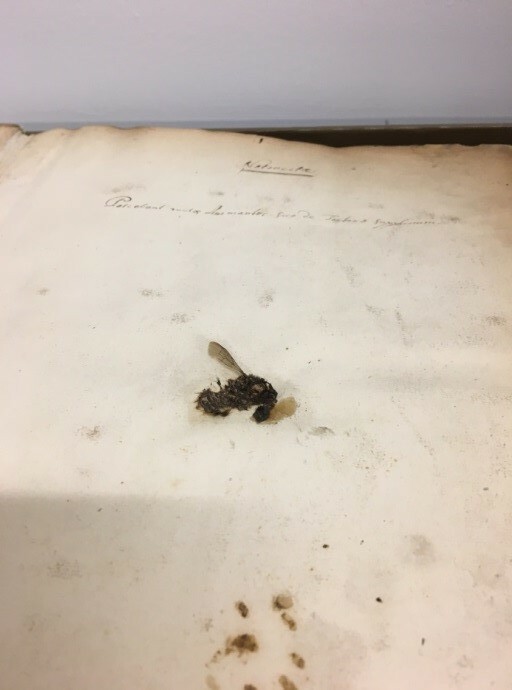 But to me just looking at specimens of flies that are three hundred years old is quite something. Not all have them have survived – many specimens are ghosts of what they were. © Trustees of the Natural History Museum. Amongst all of this, there are amazing specimens – some rather famous flies. Shown below are, we think, Eristalis arbustorum – a common hover fly found across Europe. These specimens here are some of the oldest preserved flies on the planet. There is an older collection but the flies are not as well preserved. These little boxes have been inspiring taxonomists for hundreds of years. Hover flies. © Trustees of the Natural History Museum. Those hover flies are good but the real gem lies still within the pages of Petiver’s book and it is a rather odd looking hornet robber fly. The hornet robberfly Asilus Crabroniformis. © Trustees of the Natural History Museum. This has always been one of my favourite flies and this specimen is arguably the oldest specimen of this species in the world. It would be many years before this specimen even got a name! And it is amazing to consider that for a specimen over 300 years old that, albeit being a bit squashed and misshaped, that it is still utterly recognisable and has retained its colour. 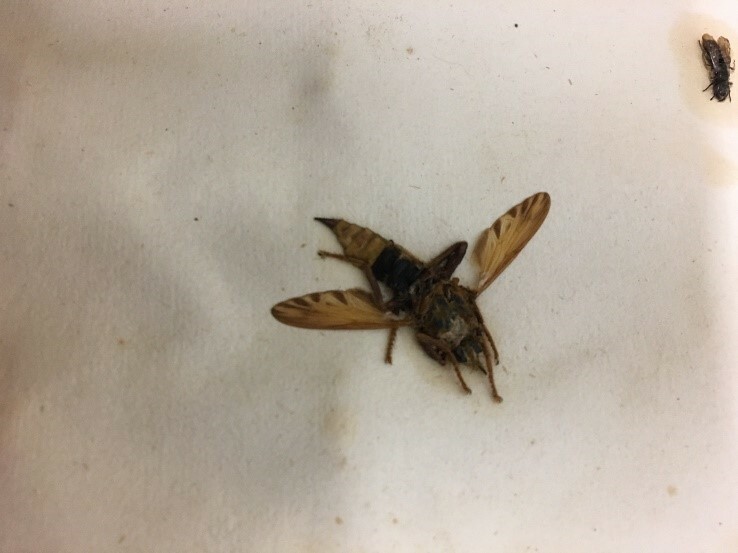 Guess I should get around to entering that data to the British Robber fly scheme…. 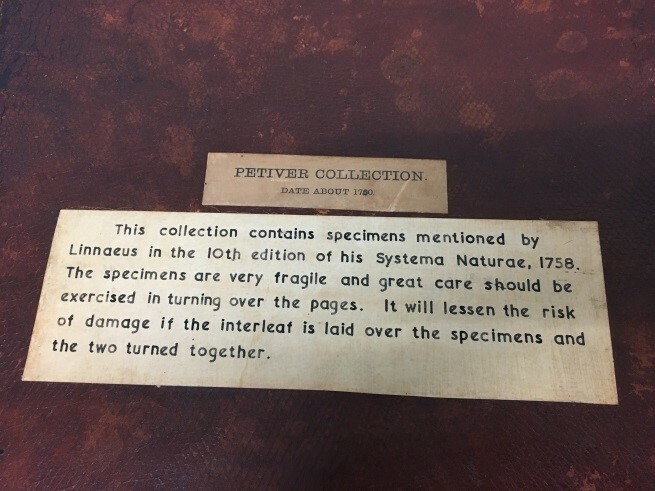 Written by Dr Erica McAlister, Collections Manager- Flies, Fleas, Arachnida, Myripoda, at the Natural History Museum, London.